මාස 5කින් පස්සේ බ්ලොග් පොස්ට් එකක් ලියන්න හදන්නේ 😀 මාව දැන් සිංහල බ්ලොග් කියවනයෙන් පන්නලා ගොඩක් කල්. මොකද දින 90කින් බ්ලොග් එකක් ලිවුවේ නැත්නම් එලවනවා නේ 😀 මම ඉතින් මගේ iPhone එකට ලගදී සමුදුන්නා. මේකට හේතුව iPhone එක කිසිම දියුනුවක් ලබන එකක් නොවීමත් OS එක අපිට ගොඩක් බාදක යෙදීමත් නිසා. දියුනුවක් ලබන්නේ නෑ කියලා අදහස් කරේ, iPhone එකේ එන හැම අලුත් අංගයක්ම කලින් ෆොන් වල තිබුන දේවල් මිස අලුත් දෙයක් නොවීම. අපි උදාහරණයක් ගත්තොත් iPhone 4 එකේදී තමයි 5MP කැමරාවක් ආවේ. නමුත් මගේ පරණ LG KU990 එකෙත් මීට වසර 2~3කට කලින් 5PM කැමරාවක් එක්ක Xeon Flash එකක් තිබුනා. ඒ වගේම iPhone 4 එකේ ඇන්ටනවේ සිට reboot දක්වා තියන ලෙඩ ගොඩ ගැන කියන්න දෙයක් නෑනේ. ඔය ඔක්කොම නිසා තාම අවුරුදු 2කක් වත් වයස නැති Google සමාගමේ OpenSoruce OS එක වන Android දාවනය වන Google Nexus One ෆොන් එකකට මාරු උනා. මම ගත්තත් එක්කම ගූගල් සමාගම මෙම ෆොන් එක විකුනන එක නැවැත්තුවා 😀 දැන් එම ෆොන් එක ලබාදෙන්නේ Android Developers ලට පමණයි. නමුත් මෙහි සිංහල නෑ. අද කියනේ කොමද මේකට සිංහල දාන්නේ කියලා. 100% සාරතකව තාම සිංහල rendering වෙන්නේ නෑ. මේක හදාගන්න ඉදිරියේ උත්සාහ කරනවා. Note: මෙම ක්‍රියාව අදාල වන්නේ Google Nexus One හා Android 2.2 (FRF91) සදහා පමණයි, වෙනස් ෆොන් එකක් ඇත්නම්, google කර root කරන්නේ කෙසේදැයි කියා සොයා බලන්න. font copy කිරීම සියලුම ඇන්ඩ්‍රොයිඩ් ෆොන් වලට සමාණයි. තවද මෙම ක්‍රියාවලිය කිරීමෙන් දුරකතනයේ වගකීම අවලංගු විය හැක. ඒ වගේම මෙම ක්‍රියාව මගින් ෆොන් එකේ ඇති සියලුම application හා දත්ත මැකීයයි. (SD එකේ ඇති දත්ත වලට හානියක් සිදු නොවේ). එම නිසා මෙය කිරීමට පෙර ෆොන් එක backup කරන්න. සිංහල දැමීමට පෙර අපි Nexus One එක root කල යුතුයි. මෙය කිරීමට පෙර bootloder එක unlock කිරීමක් කරන්න ඔනේ. මේ සදහා පහත දෑ download කරන්න. root කිරීමක් කියනේ Android OS එකේ admin හෝ super user බලතල ලබාගැනීමයි. Android යනු Linux OS එකකි. 1. Nexus One එක USB Debug Mode enable කරන්න. 2. Nexus One එක පරිගනකයට USB හරහා සම්බන්දකොට USB Driver එක Install කරන්න. 3. දැන් Unzip කරන්න Superboot ZIP ෆයිල් එක. පසුව command line (cmd) එකක් open කර superboot එකේ ෆයිල් ඇති තැනට යන්න. දැන් අපි bootloder එක unlock කරමු. 1. Phone එක off කරන්න. 2. trackball එක ඔබාගෙන power button එක ඔබා අතහරින්න, trackball එක ඔබාගෙනම සිටින්න. ඔබට දැන් boot rom mode එක දැකගත හැක. 3. USB cable එක පරිගනකයට සවිකරන්න. 4. Open කරපු cmd ලයින් එකේ පහත විදානය ලබාදෙන්න. 5. එවිට ෆොන්ට් එකේ google unlock කිරීමට අදාල තිරය දිස්වෙයි, Volume key එක මගින් YES කියන එක තෝරා Power Button එක ඔබන්න. දැන් ෆොන් එක reboot වෙයි. root කිරීම කරනේ කෙසේදැයි බලමු. 1. trackball එක ඔබාගෙන power button එක ඔබා අතහරින්න, trackball එක ඔබාගෙනම සිටින්න. ඔබට දැන් boot rom mode එක ගන්න. 2. කලින් විදානය දුන් cmd ලයින් එකේම පහත විදානය ලබාදෙන්න. 3. දැන් ෆොන් එක reboot වෙයි. දැන් බලමු සිංහල දාන්නේ කොහොමද කියලා. 1. Sinhala Font එක download කරන්න. 2. Font එක unzip කරලා, font එකේ SD card එකේ root එකට copy කරන්න. 3. දැන් පරිගනකයෙන් ෆොන් එකේ SD card එක safely remove කරන්න. 4. දැන් ෆොන් එකෙන් Turn off USB storage කරන්න. 5. ඉහත open කරපු cmd එකේ පහත විදාන දෙන්න. 6. දැන් ෆොන් එකේ su allow කරනද කියා අසයි, එවිට allow කරන්න, cmd එකේ Permission Deny කියලා ආවොත් allow කිරීමෙන් පසුව නැවත su විදානය දෙන්න. 7. පහත විදාන පිලිවෙලට ලබාදෙන්න. සියල්ල හරියට සිදුකරානම් ෆොන් එක reboot ඌ පසු සිංහල හරියාකාරව දිස්වෙනු ඇත. රෙන්ඩරින් වල අඩුපාඩු ඉදිරියේදී නිවැරදි කිරීමට දසුන් එක්ක පොඩි උත්සාහයක් ගන්නවා. Thank you, we have already spoke about it on techkatha.com, but this will only allow you to view web sites that’s in sinhala Unicode, but will not allow you to read your email, and other applications such as twitter if the posts are in sinhala. for that you need to install sinhala. මං ලග තියෙන්නෙ Se xperia X8 එකක්. ඇන්ඩ්‍රොයිඩ් 2.1 තියෙන්නෙ.Sony ericsson ල අප්ඩේට් දෙන්නෙත් නෑ වගේ. මට 2.2 වලටවත් මාරු වෙන්න පුලුවන් වෙයිද? පොඩි හෙල්ප් එකක් දෙන්න. HTC Desire HD එකට සිංහල දාන්න ඕන. මේක root කරගන්නෙ කොහොමද ? ටෙක් කතා වලින් ඇහුවම root නොකර fonts copy කරන්න පුලුවන් කීව. නමුත් එහෙම කරන්න බැහැ නේද ? Please help! Didnt Work with Gingerbread (2.3) on i9000-GT. 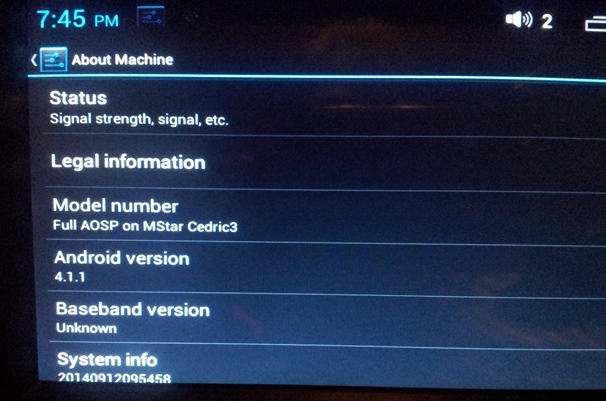 Manually added the Glyphs from Iskoola Pota to Droidsansfallback as well, That didnt work either. Have u tried this on 2.3 Kalinga ? මම මෙයට තාමත් කැමති, මෙය සියලුම HTTPS නොවන අන්තර්ජාල පිටුවල ඔවෙර්ලේ එකක් ලෙස භාවිතා කිරීමට හැකිනිසායි. Sorry I’m using my office pc which doesn’t have a sinhala IME. I too am working on the android complex script rendering engine to support sinhala scripts. Android still has some issues with it’s rendering engine. @Kalinga, Good work machan… you have successfully ported the font to the system but without a rendering engine the complex glyphs won’t get displayed. the screen correctly. there’s font renderer work to be done. BTW On windows it is managed through uniscribe.dll. You can use the honso keyboard for android to type..its not without flaws.but gets the job done..
desire hd eka root karata passe me fonts me vidiyatama install karanna puluwanda? im using a HTC Legend… root karanna den mara easy..”z4Root” eken den fone ekenma root karaganna puluwan.. eeta passe screenshots aragena danna.. netinam pic clear madi… android keyboard apita create karanna puluwanlu.. ekata sinhala embed karanam goda…. nway good job..
මේකේ කොම්බුව පොඩ්ඩක් එහට මෙහාට වෙලා නේද පේන්නේ..?? ඒකට මුකුත් කරන්න විදිහක් නැද්ද..?? වෙන font එකක් හරි දාන්න බැරිද?? LG Optimus 1 එක අප්ඩේට් කරන හැටි දන්නවාද ? ගොඩක් හොද පොස්ට් එකක් කාලින්ග. මම ලගදි ගත්තා ASUS Transformer TF101 eeepad එකක් ඒකෙ තියෙන්නෙ Android 3.2.1 Version එක මෙකටත් සිංහල දාගන්න විදිය පොඩි අදහසක් තියනවා නම් කියන්න. HTC Desire HD එකට සිංහල දාන්න ඕන. මේක root කරගන්නෙ කොහොමද ? Plz Help kalinga ayya ? Just needed to confirm. The font given under download link; is that the correct sinhala font? Or can we use any sinhala font and rename it as DroidSansFallback.ttf? When I open the font from download link, it don’t show any sinhala fonts..
huawei u8180 does not support Adobe Flash Player. Do you have a solution for that? aiya mage laga thiyenne SE X8 ekak ekatath me widiyata danna puluwanda? mage p eka root karanne kohomada? yes ofcourse you can use this on your phone. But Kalinga has published this artical ages ago (2010) since then there has been new applicateions that can ROOT your device by phone itself rather than connecting to the PC. * If your phone is already ROOTED just download ESfileexplorer from Market, mount root and follow Kalingas’ steps. the file you are replacing doesn’t have to be “DroidSansfallback.ttf” always. You can simply replace any other language font file in the fonts directory but remember to rename the file you replaced with by the original name. EG: in fonts folder you see “Bhashamalaysia.ttf” but not “DroidSansfallback.ttf”. Just rename the downloaded “DroidSansfalback.ttf” to “Bhashamalaysia.ttf” and replace. අයියෝ.. මගේ phone එකේ සිංහල font එක දාන්න බැහැනේ..
මම root කරලා තියන්නේ, super user permission තියනවා..
mamath hugak kaleka idan mage n70 m.e. ekata sinhala danna try kala.eka ataera damma.oeramini eken nam niyameta sinhala biog kiyawanna puluwan. eka nemei kalingaaiye nokia wala s60 3d edition phones walata windos 3.1dan heti kiyala denawada. කාලිංග අයියා, Galaxy y s5360 phoneඑකට සිංහල font දාගන්නෙ කොහොමද?? මං phone1 ගත්තේ 17900/= ට. ඒක Vodacom කියලා on වෙනකොට වැටෙනවා..
SAMSUNG outlet එකකින් නෙවෙයි ගත්තේ.Samsung එකෙන් ඇහුවාම කිව්වා ඒක Petta 4n1 කියලා.ඒත් ඒකෙ අවුලක් නම් නෑ තාම. මට කියනවද ඒකට සිංහල font දාන්න පුලුවන්ද කියලා..
phone eka volume down +center key + power button press kalama boot karanna puluwan bawa ahala tiyenawa.eth man ehema kalama Android mark eka ekka Update karannada kiyala wetenawa.mage eka ROOT karanna puluwanda? @ hasitha.. ICS wala font eka anika ewata wada wenas.. eka nisa me widihata replace karanda ba..
machang Samsung galaxy s3 ekata sinhala danne kohomada kiyapan ko..mroot katrannama oaane da?mokada root kaloth warranty ekata badu…mage yaaluwa langa thiyenn ipone 4s ekak aeke sinhala fonts wefa..moo oaka kiya kiya mata serin serae nikan mage droidata kindi daanawa.oakage baagerta kaapu apple gediyata mage droida ekka herennawath ba..aeth macho mae sinhala font awula thama prashne. me aiie mage mob eakata droidsansfallback…ttf eaka iroot karala damma eaka wadakaranawa…..eth mahara akuru adai is pili paaa pili wenas wela wadinne eaka hadanne kohomada??? බොහොම පිං කාලිංග. මම නිතර Android OSv මාරු කරන එක තමයි කරන්නේ. ඒත් ඒ හැම OSv එකකම System\Fonts folderඑකේ කවදාවත් මේ සිංහල font එක නැතිවුණේ නෑ..
Nexus 7 ekata mama me file eka copy kara.. eke thiyenne jelly bean (4.2).Eeeth wede harigiye naa weage, Sinhala akuru peenne naa.. ekata me font file eka(droidsansfallback.ttf) weda ndaa machan. Machan Kalinga,,,,mama se neo v ekata ube help eken sinhala dagaththa…thanx bn…. Mata thiyenawa samsung s duos phone 1k. Mata one sinhala font walin document type karnna. Mata help karanna. mage gawa etel i6 1k thiyanawa.eke sinhala pennanne na.mata sinhala pennanne kohomada kiyanawada?plz help me.sinhala daganna mata oni. මම දන්නා තරමින් ඉටෙල් දුරකතනවල සිංහල කිරීම වෙනසක් නොකර වැඩ කරනවා. 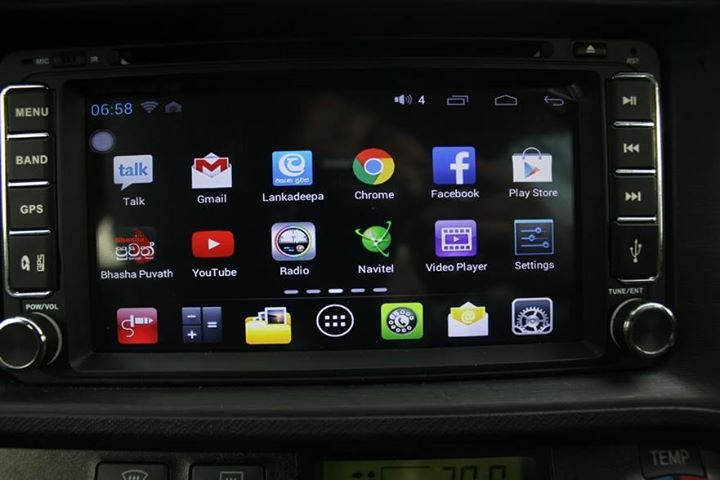 1) Android 4.1.1 තියන මගේ car setup එකේ සිංහල පේන්නේන් නෑ. සාමාන්‍යයෙන් 4.1 වගේ වර්ෂන් වල සිංහල පේන්න ඕනේ නෙද? 2) සෙටප් එකට ආව ඇනලොග් TV ඇප් එකෙන් TV පෙනුනේ නෑ (AUX ඇප් එකම TV විදිහට ලෝඩ් වෙන්නේ, චැනල් සර්ච් කරන්න ආවේ නෑ) ඒ නිසා සෙටප් එක root කරලා, තිබුණ ඇප් එක ගලවලා ආයෙත් අලුතෙන්ම දැම්මා. ඒත් කලින් වගේමයි TV පේන්නේ නෑ. මේකට හේතුව මොකක් වෙන්න ඇතිද?